Within Walls produced exhibition design, film projections and graphic concept for The Sustainable Life at InnoCarnival 2016. The project aim is to stimulate childrens creativity and interest for sustainable issues due to FN:s 17 Global Goals. Project partners; Malmo City Planning Office, Malmo Museum, The Environmental Administration, Sea-U, VA-syd, SYSAV. Exhibited at Malmo Live and Kommendanthuset. As part of the exhibition design Within Walls produced a graphic concept that worked as an overall communication scheme for the different project partners. The winning projects from InnoCarnival presented at Kommendanthuset. 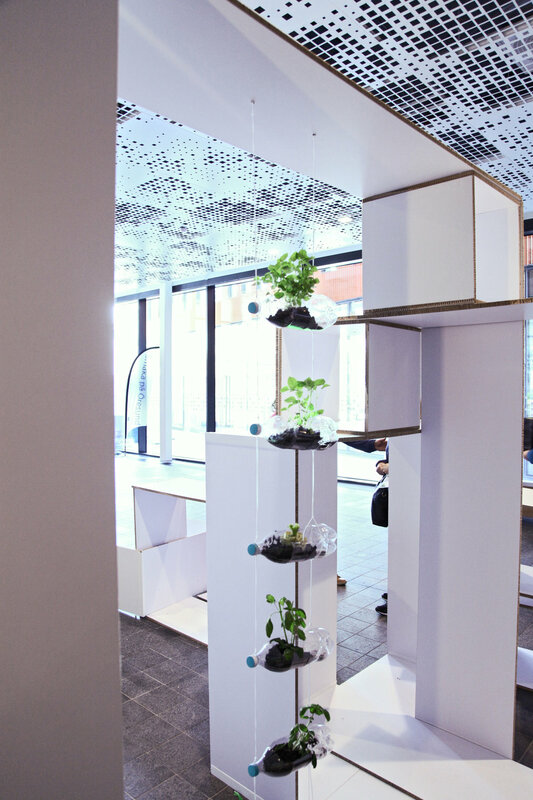 The projects presented in the flexible module system made by the recycled material Re-board. 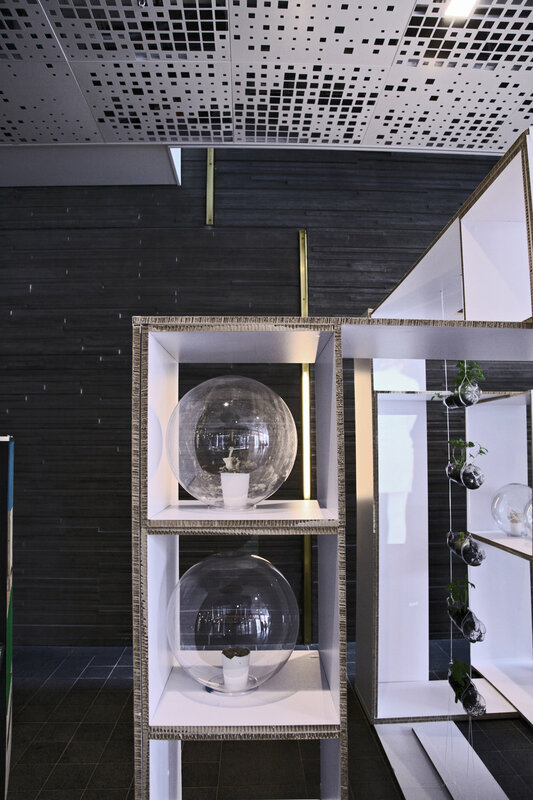 The exhibition concept was based on square frames in different dimensions that together worked as showcases, shelves and podiums. The lightweight cardboard material and its module system could easily be assembled by two persons in 2 hours. Exhibition design concept for the project partners; Malmo Museum, The Environmental Administration, Sea-U, VA-syd and SYSAV.